At Great Grounds we have the specialist knowledge and skills to provide a full range of weed treatment services. We specialise in the treatment of noxious weeds including Japanese Knotweed, Giant Hogweed and Himalayan Balsam. Managing land infested by any of these noxious weeds in a timely and appropriate way can help your organisation to avoid excessive cost, potential prosecution and/or compensation claims, physical damage to buildings and hard surfaces, and harm to the environment. 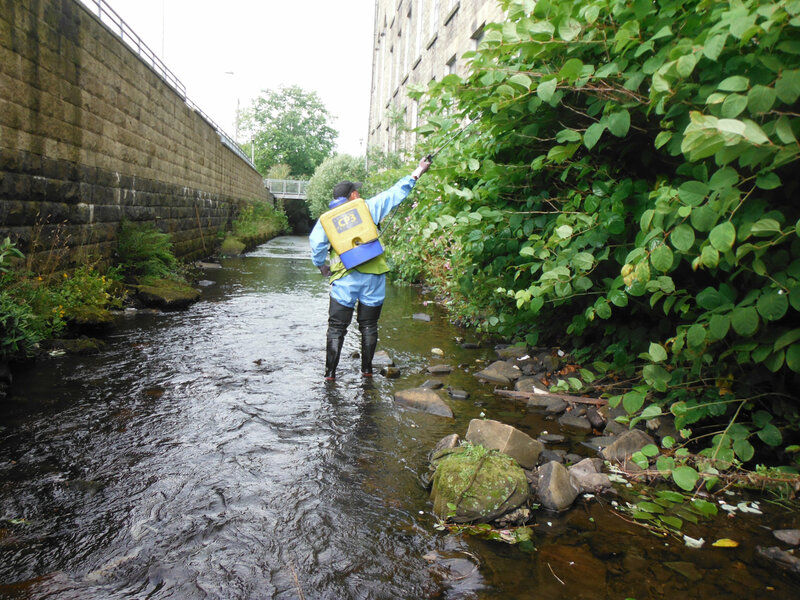 As framework contractors to the Environment Agency we are one of a small number of contractors both qualified and authorized to apply chemical treatments in or near watercourses. You can trust us to make a not-so-great area, great again.